Run your Windows Server workloads on Azure and extend your existing Windows Server data centre. 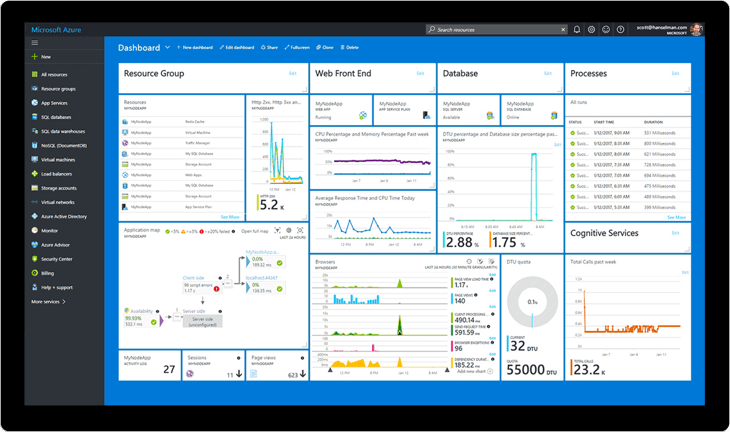 Add hybrid capabilities by extending your on-premises Windows Server data centre to Azure or running your workloads on Azure. Build and deploy new Windows virtual machines in Azure. Spend less time running your infrastructure with the cloud that knows Windows Server best. Azure is the most cost-effective cloud for your Windows Server workloads – saving up to 80 per cent on Windows Server virtual machines – with Azure Hybrid Benefit for Windows Server and Azure Reserved Virtual Machine Instances. Get access to three additional years of security updates for 2008 or 2008 R2 workloads in Azure – at no additional charge.